Our neighbor adopted a Bernese Mountain Dog - Mini Poodle cross. She's a lovely little puppy. We've been keeping them apart until Elli, the neighbor, had most of her shots. It was pretty funny when they came over today as Willow has met the young man a couple of times and was so engrossed in greeting him that she didn't notice the puppy he was carrying. 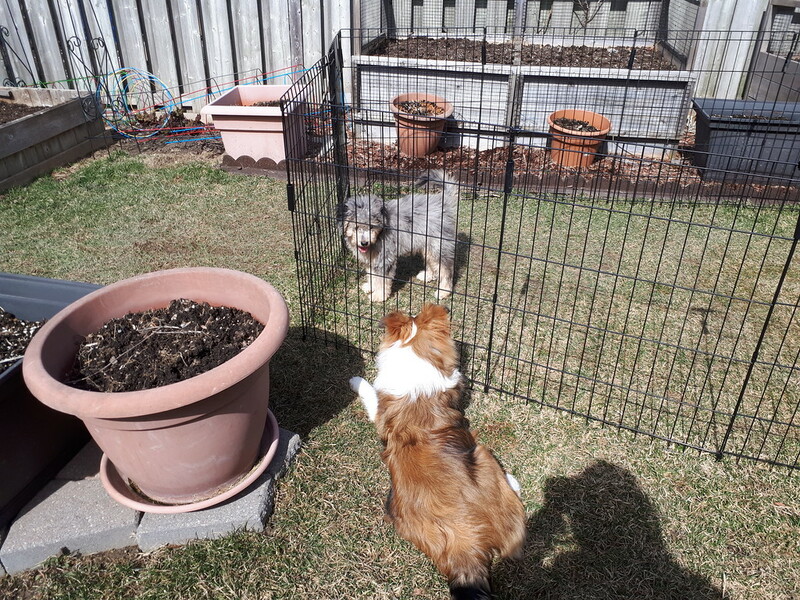 We put Elli in the ex-pen and kept Willow on the outside so we didn't get any overly enthusiastic behavior from Willow. 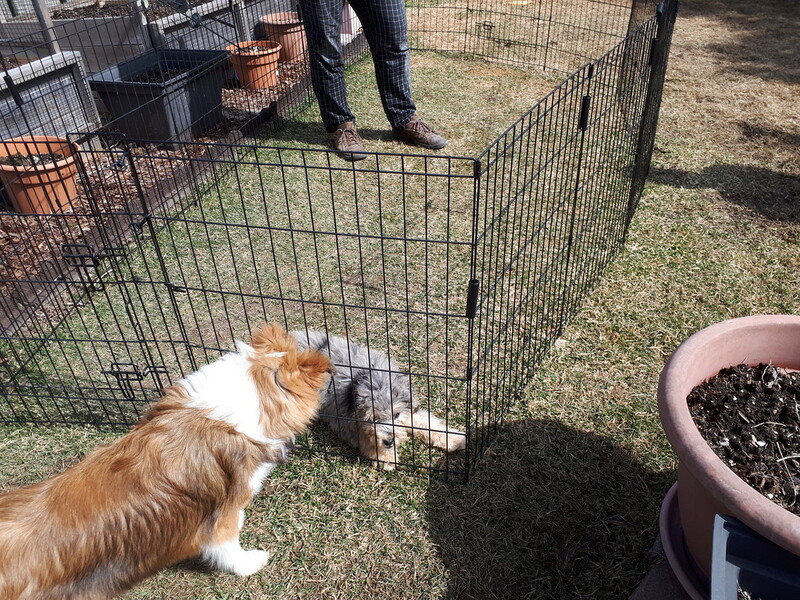 They had a blast and before Elli went home again we had them meet in the ex-pen and they got a good sniff of each other. They were both too tired to play by then so it was a gentle interaction. Sharon7, ghggp, KarenCurtis and 2 others like this. Now that's an interesting cross for sure! Hopefully they get more playdates! GlennR and ghggp like this. That's going to be a great friendship! Wonderful socialization for both of them! Good job! Awwww! So cute - I predict a great friendship.